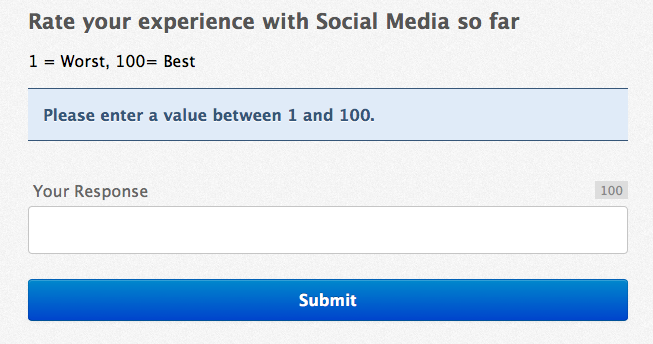 A common type of Polling question is "Rank this on a scale of 1-10". Conferences i/o makes setting up this type of question easy using our 'Numerical Average' Polling option. 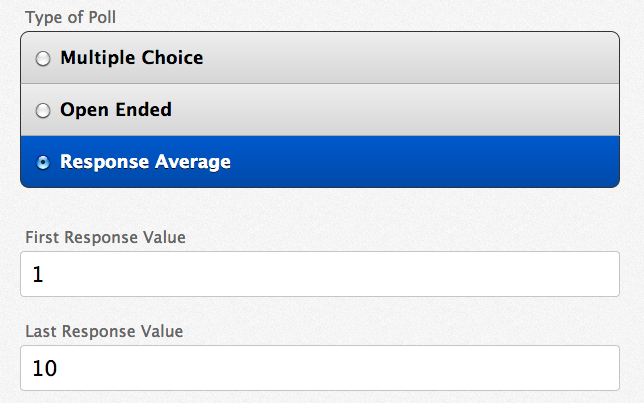 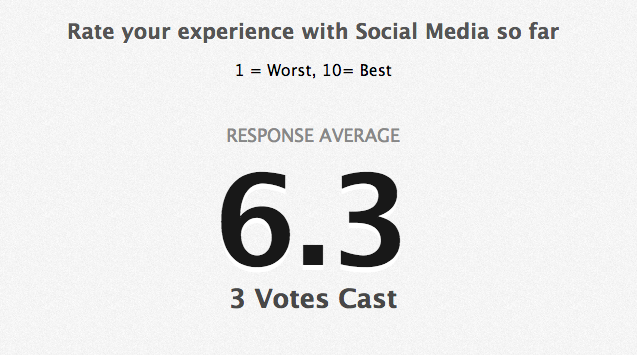 For 'Response Average' type Polls, the results will automatically display the numerical average of the responses!